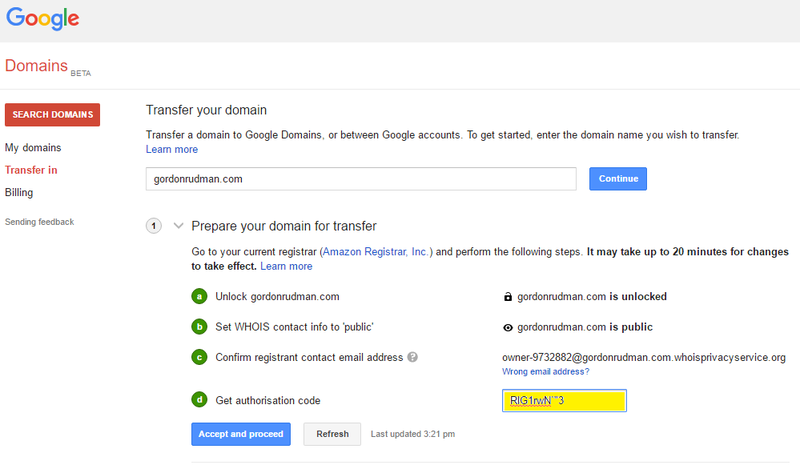 I've recently moved my website domains from Amazon AWS to Google domains and wanted to share my experience with you. I moved from AWS to Google because Google offers free email forwarding as part of their domain registration service, and access to what they call “G suite”. 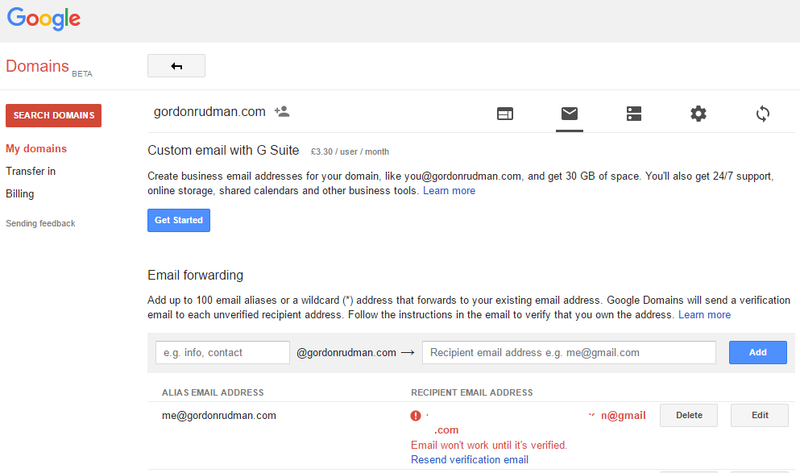 This allows me to create pretty email addresses like info@mydomain.com, that are automatically forwarded to my normal/private email address, allowing me to protect my private email address from spammers. Later, I plan on using their full G suite, which is basically dedicated email, ‘unlimited’ cloud storage and Google Apps combined for less than €8/month. 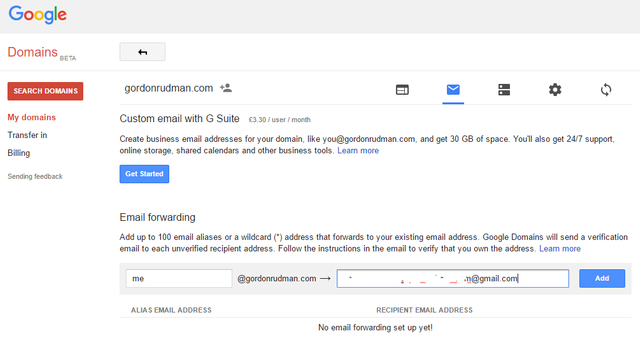 On a side note; you can save yourself 20% on the G suite thing if you sign up using the following link and voucher code: https://goo.gl/QhxnSe (44DGM7C7CL4ANVH, 4CMVAKJ9GEXLKYN). 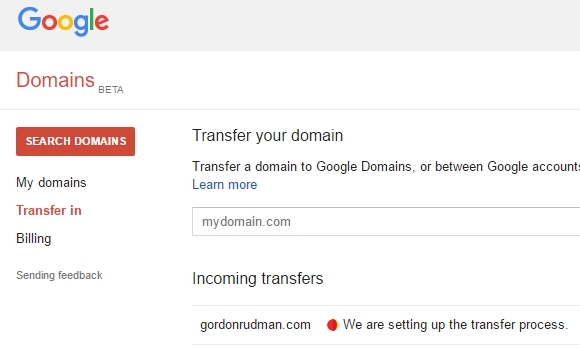 Anyway, a quick summary of my experience moving the domain was that it was by far the easiest, quickest, and least scary domain transfer I’ve done to date. I also had no downtime during the transfer, because Google copied the AWS DNS settings for me 😊. 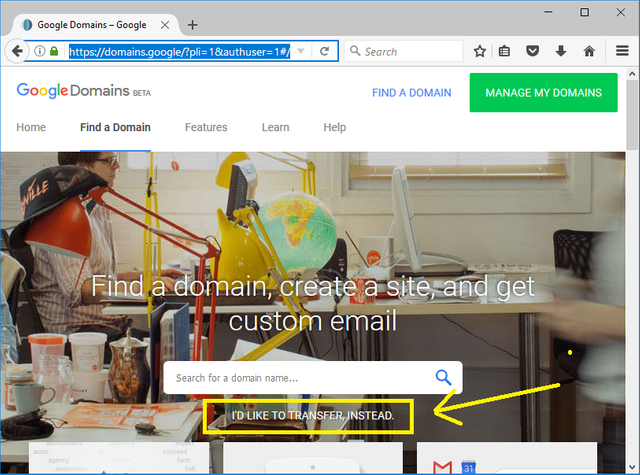 The only thing to note is that Google don’t automatically opt you in for auto domain renewal – so have a look below on how to set that up. While there are a lot of steps, they are pretty much self-explanatory - so I decided to include a bunch of screenshots instead of writing a lot of extra waffle. Please let me know if something doesn't make sense, so that I can add extra info. Hopefully showing all the steps will give you the full picture of the entire process and therefore remove some of the stress that can come from moving a domain. 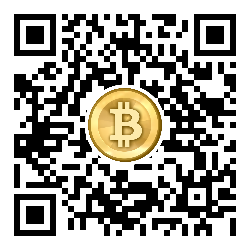 If you’d like any more info on the process please leave a comment, and I’ll try get back to you as soon as possible. If you like the article it would be greatly appreciated if you'd please share and upvote it. Visit https://domains.google.com - They basically charge the same as Amazon, but give you access to more stuff. Transfer lock helps prevents people from stealing your domains. So you need to temporarily disable it in order to facilitate the transfer. Sorry, I missed the screenshots here. They have a standard credit card details form you'll need to fill in. Step 6 - The transfer is complete!! You can stop now if you don't care about auto renewal. However I'd suggest that you continue with Step 7. If you liked the article it would be greatly appreciated if you'd please share and upvote it.